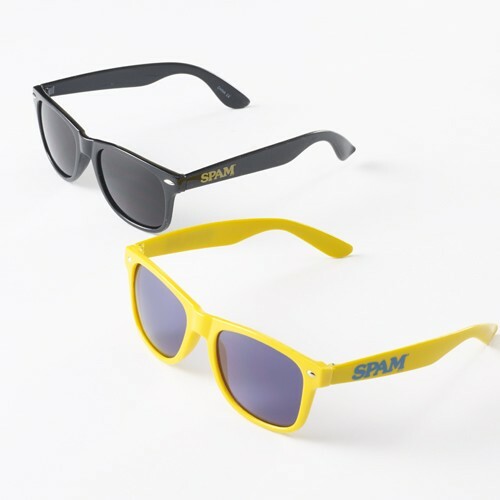 Sunglasses with SPAM® Brand imprint on each side bow. Choose from black or yellow. See G6029 for blue style sunglasses.